Nicole Richie looked summer-ready in a retro mini while promoting the upcoming second season of her reality show, Candidly Nicole, which will premiere on VH1 tomorrow, July 29. The 33-year-old fashion designer and actress, who admitted her obsession with the late ’60s and early ’70s styles, covered her slim figure and flaunted her flawless legs in a retro-inspired mini dress featuring long sleeves and floral prints in multiple colors, including orange, gray, and tan. She was extra chic with her accessories consisting of rings, earrings, and classic aviators, and she looked fresh as well in her simple makeup and slicked-back blonde pixie, with the bangs loosely covering her forehead. Nicole completed her outfit with Saint Laurent “Jane” sandals. They are made of leather and feature buckled ankle straps, open toes, 0.5 inch platforms, and 4.5 inch heels. 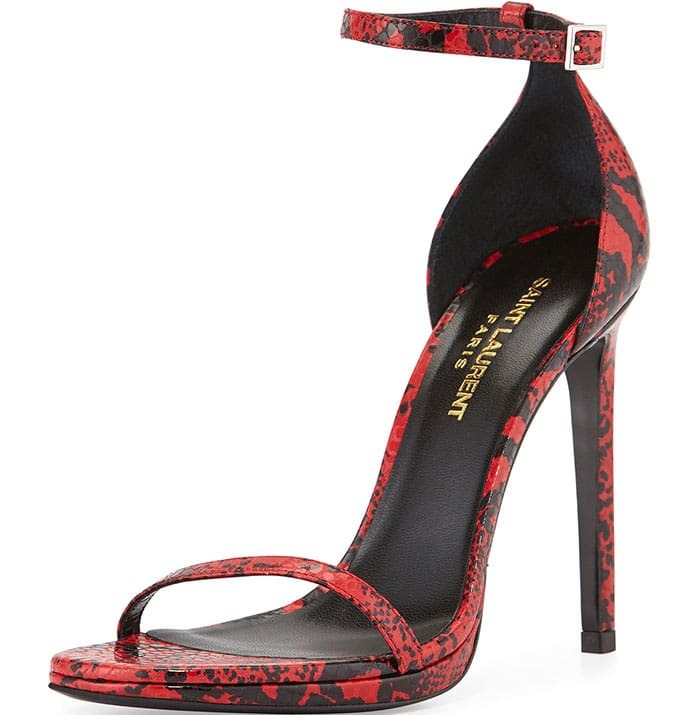 Check out these Saint Laurent sandals in plenty of versions at Net-A-Porter, Neiman Marcus, and Nordstrom.